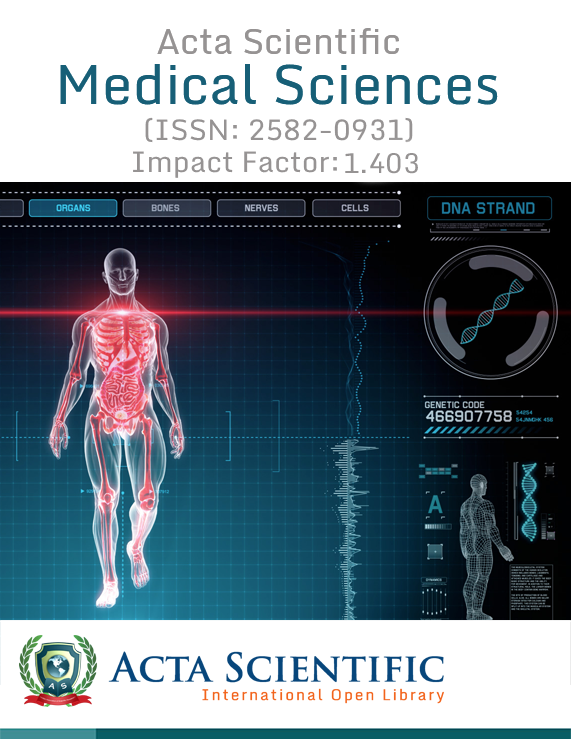 Acta Scientific Microbiology (ASMI) (ISSN: 2581-3226) is an internationally peer-reviewed journal that covers significant advancements in the field of microbiology encompassing bacteria, viruses, archaea and all the other microbes. The journal is also concerned with publishing articles on the most outstanding worldwide research in the spectrum of microbiology. The journal also covers various themes of microbiology including biochemical, molecular genetics, physiological and physical investigations into microbial cells and their interactions with their environments, including their eukaryotic hosts. The journal also focuses on medical microbiology, immunology, ecology and systematic, including description of novel taxa. The journal covers all aspects of microbial cells that include prokaryotes, eukaryotes and various viruses, along with the fields of general, medical and applied microbiology and virology. 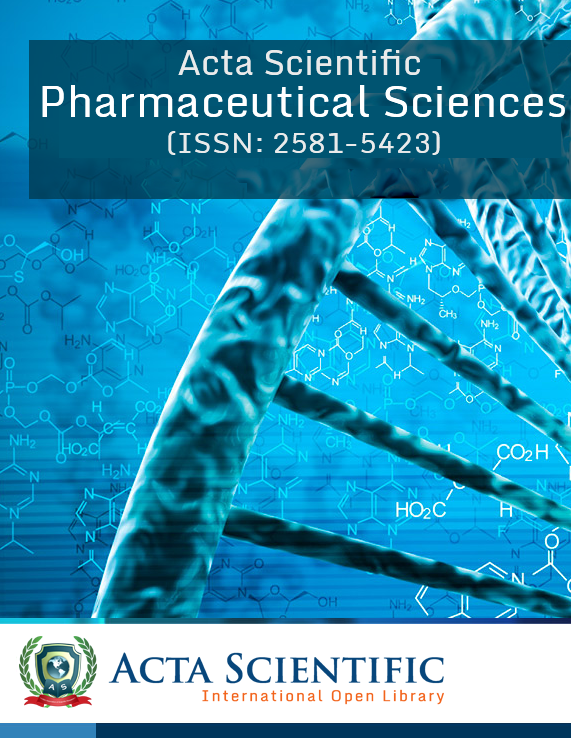 The journal aims to provide cutting-edge information on exciting trends emerging in the light of advances in molecular and clinical microbiology. Internationally profound journal that Publishes articles on various disciplines of Microbiology. Thorough Double blinded peer review. Prompt Acknowledgement after acceptance of article for peer review. Rapid Publication after the article is peer reviewed through eminent reviewers. Acceptance and Publication of papers with excellence, novelty and originality. Issue of Publication Certificate to author. We Provide High visibility of your Published work. The field of microbiology is ever expanding and diversifying with a wide scope with respect to the subjects of microbiology. Microbiology is at present, one of the fastest moving disciplines in life sciences and there are several novel technological advancements with the recent research going on. 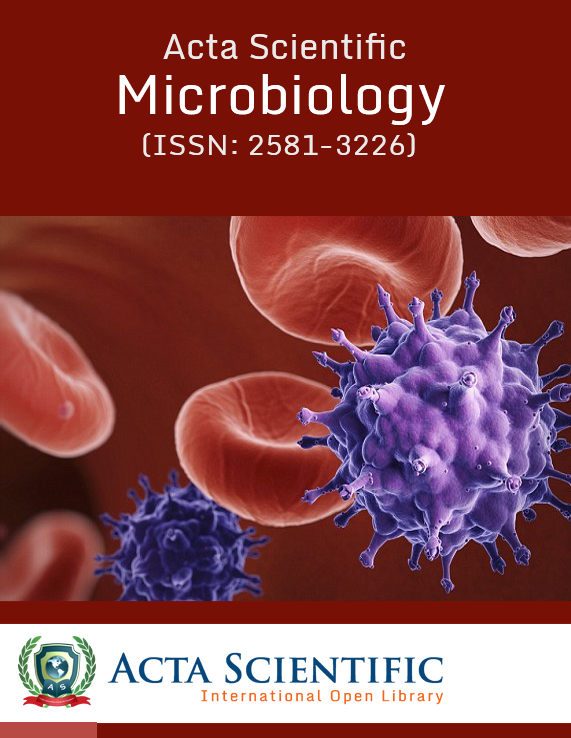 The journal covers all the significant areas of microbiology with a goal to disseminate valuable knowledge regarding microbiological research. 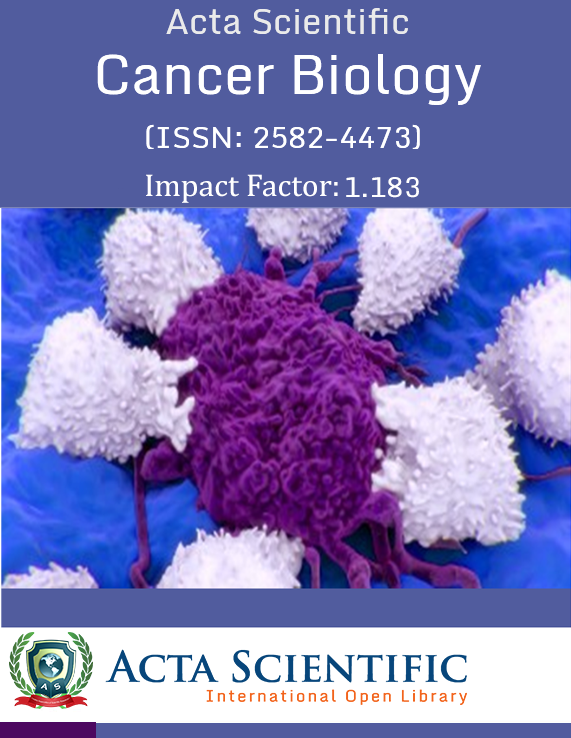 Cell biology, Immunology, Genetics and evolution, Virology, Bacteriology, Protozoology and Mycology, Genomics, Host immune responses, Cell cycle and differentiation, Environmental microbiology, Antibiotic resistance and production, aspects of prion diseases and of fungal and protozoan biology, Characterization and evolution of virulence determinants, Symbiosis in plant and animal associations, Analytical microbiology, Biochemical microbiology, Clinical microbiology, Geomicrobiology, High throughput sequencing, Infectious diseases, Medical microbiology, Microbial diversity, Microbial ecology, Microbial genetics, Microbial pathogenesis, Microbial physiology, Parasitology, Plant-microbe interactions, Microbial proteomics, Radioisotopes as applied to microbiology, Pharmaceutical microbiology, Microbial engineering, Microbial biotechnology, Forest microbiology, Marine and aquatic microbiology, Food microbiology, Industrial microbiology, Medical microbiology, Methods including quantitative models and Bioinformatics in microbiology, Microbiology education, Bioremediation. The journal aspires to cover all the microbiology related aspects. Victor Lage de Araujo, Ana Claudia Paradella Freitas, Elaine Coutinho Neto, Kurinchi Gurusamy and Marilene Conceição Felix da Silva. 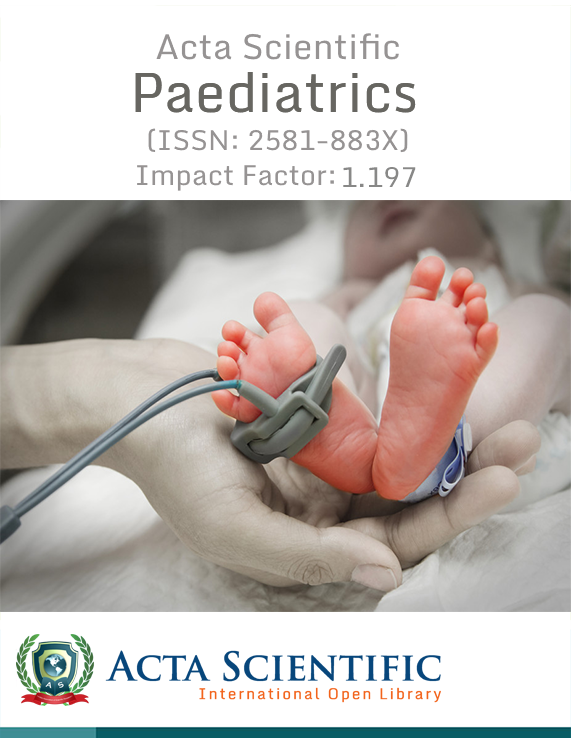 Published: April 18, 2019; Volume 2 Issue 5: 66-93. Umeaku CN, Umeh CN, Okeke UC and Chris-Umeaku CI. Published: April 18, 2019; Volume 2 Issue 5: 61-65. Yahia H A Elbasheer, Salma A Alem and E lbadri E Osman. Published: April 18, 2019; Volume 2 Issue 5: 55-60. Published: April 16, 2019; Volume 2 Issue 5: 52-54. Published: April 16, 2019; Volume 2 Issue 5: 44-47. Published: April 15, 2019; Volume 2 Issue 5: 44-47. Published: April 15, 2019; Volume 2 Issue 5: 42-43. Meenakshi Bandyopadhyay, Vikas Jha, BS Ajitkumar and Ashish R Jhangiani. Published: April 15, 2019; Volume 2 Issue 5: 36-41. 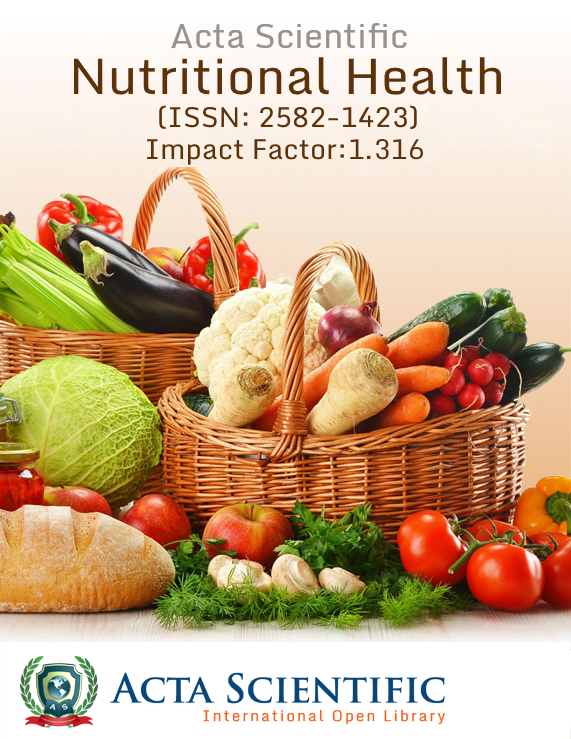 Muddukrishnaiah K, Samuel Thavamani B, Dhanapal V, Shilpa V P and Jayaprakash G.
Published: April 10, 2019; Volume 2 Issue 5: 28-35. Jung Hwan Kim and Maurice HT Ling. Published: April 09, 2019; Volume 2 Issue 5: 20-27. Published: April 08, 2019; Volume 2 Issue 5: 15-19. Published: April 03, 2019; Volume 2 Issue 5: 11-14. Dijana Blazhekovikj Dimovska, Vladimir Kakurinov and Vesna Rafajlovska. Published: April 03, 2019; Volume 2 Issue 5: 07-10. SS Nghoshi, J Sheehama and S Antara. Published: April 02, 2019; Volume 2 Issue 5: 02-06. Published: April 01, 2019; Volume 2 Issue 5: 01. 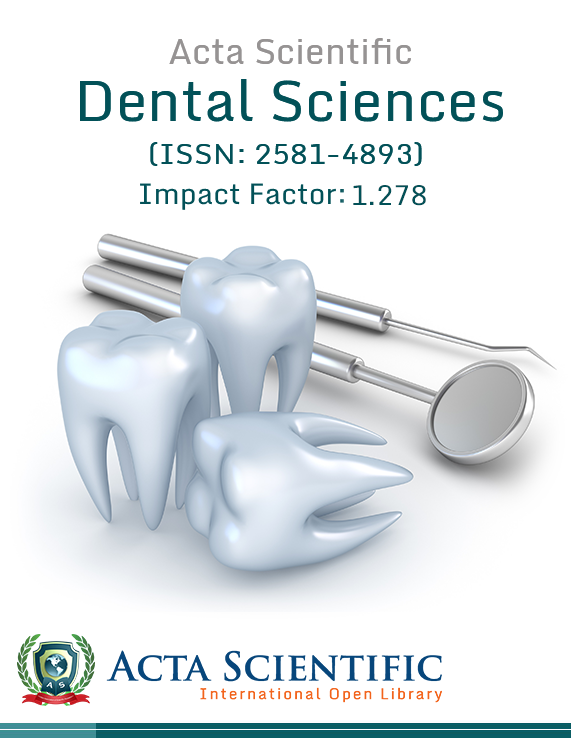 Published: March 29, 2019; Volume 2 Issue 4: 118-121. Published: March 28, 2019; Volume 2 Issue 4: 113-117. Published: March 26, 2019; Volume 2 Issue 4: 109-112. 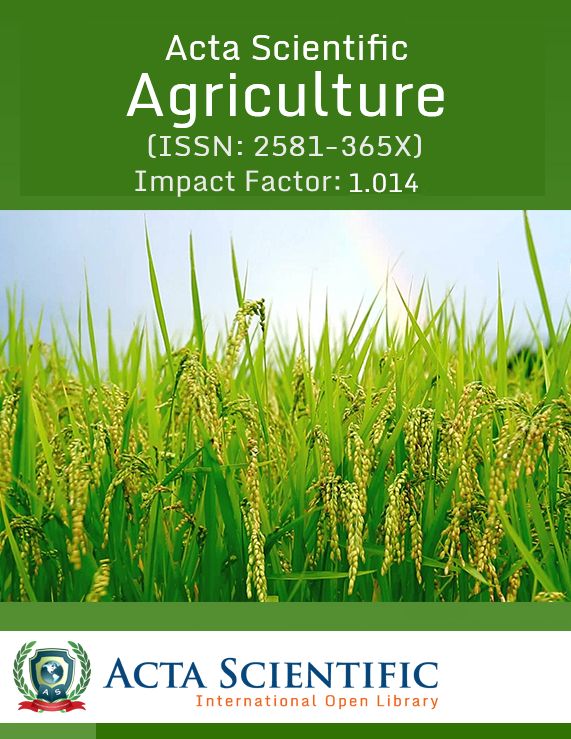 Published: March 26, 2019; Volume 2 Issue 4: 107-108. Meenakshi Bandyopadhyay, Vikas Jha and BS Ajit Kumar. Published: March 25, 2019; Volume 2 Issue 4: 97-106. What is the alliance between normal body temperature and tooth decay? Muhammad Imran Qadir and Yasmeen Mureed. Published: March 21, 2019; Volume 2 Issue 4: 94-96. Published: March 21, 2019; Volume 2 Issue 4: 86-93. Published: March 19, 2019; Volume 2 Issue 4: 84-85. Published: March 19, 2019; Volume 2 Issue 4: 80-83. S Jeelani, Amirthaa Priyadharscini R and K Abdul Khader. Published: March 14, 2019; Volume 2 Issue 4: 76-79. Mir Naiman Ali, Naseer unissa, Rayan Almutairi, Subiha Fatima and Hajera Tabassum. Published: March 13, 2019; Volume 2 Issue 4: 65-72. Published: March 11, 2019; Volume 2 Issue 4: 58-64. Published: March 08, 2019; Volume 2 Issue 4: 50-57. Debanjan Kundu, Tulika Paul, Luit Moni Barkalita and Probodh Borah. Published: March 05, 2019; Volume 2 Issue 4: 44-49. Pritam Mukherjee and Abhijit Mitra. Published: March 05, 2019; Volume 2 Issue 4: 42-43. Etta Hannah Edim, Onoyom, Samuel and Daniel Doris Kenneth. Published: March 05, 2019; Volume 2 Issue 4: 35-41. Jeevan Kumar Shrestha, Dev Raj Joshi, Prakriti Regmi and Govinda Badahit. Published: March 05, 2019; Volume 2 Issue 4: 30-34. Published: March 04, 2019; Volume 2 Issue 4: 22-29. Published: March 04, 2019; Volume 2 Issue 4: 16-21. Kelechi M Ukaegbu-Obi, Nwankwo I U, Itaman V O and Ihemeje E O. Published: March 01, 2019; Volume 2 Issue 4: 02-07. Published: February 28, 2019; Volume 2 Issue 4: 01. Published: February 28, 2019; Volume 2 Issue 3: 85-86. Published: February 23, 2019; Volume 2 Issue 3: 83-84. Published: February 23, 2019; Volume 2 Issue 3: 82. Kankonkar SR, Joshi SV and Thatte SW. Published: February 23, 2019; Volume 2 Issue 3: 78-81. Published: February 20, 2019; Volume 2 Issue 3: 76-77. Julie S Berame, Rex M Andante and Rex Bomvet D Saura. Published: February 20, 2019; Volume 2 Issue 3:66-75. Published: February 20, 2019; Volume 2 Issue 3: 64-65. The Symbiosis or Dysbiosis of Gut Microbiota: Friend or Foe? Seyed Davar Siadat and Sara Ahmadi Badi. Published: February 18, 2019; Volume 2 Issue 3: 54-55. Published: February 18, 2019; Volume 2 Issue 3: 52-53. Mohd Musheer Altaf and Abdul Malik. Published: February 15, 2019; Volume 2 Issue 3: 36-45. Published: February 15, 2019; Volume 2 Issue 3: 35. Published: February 15, 2019; Volume 2 Issue 3: 33-34. Published: February 14, 2019; Volume 2 Issue 3: 27-32. Kritika Sharma and Abhishek Walia. Published: February 14, 2019; Volume 2 Issue 3: 24-26. Published: February 12, 2019; Volume 2 Issue 3: 22-23. Maqshoof Ahmad and Iqra Ahmad. Published: February 12, 2019; Volume 2 Issue 3: 20-21. Can Leprosy be Considered as a Zoonostic Disease? Mahendra Pal and Pratibha Dave. Published: February 12, 2019; Volume 2 Issue 3: 16-19. Published: February 05, 2019; Volume 2 Issue 3: 12-15. Rashida Qari and Abdul Rahim Khan. Published: February 04, 2019; Volume 2 Issue 3: 03-11. Published: January 30, 2019; Volume 2 Issue 2: 46-48. Published: January 29, 2019; Volume 2 Issue 2: 43-45. Alaka OO, Orimolade EA, Ojo OO and Onipede AO. Published: January 21, 2019; Volume 2 Issue 2: 35-42. Published: January 16, 2019; Volume 2 Issue 2: 29-34. Published: January 07, 2019; Volume 2 Issue 2: 22-28. Laxman G Jessani, Ram Gopalakrishnan, Shaoli Basu, Suresh D, S Nambi, Velupande, V Ramasubramanian. Published: January 07, 2019; Volume 2 Issue 2: 17-21. Kulvinder Kochar Kaur, Gautam Allahbadia and Mandeep Singh. Published: January 03, 2019; Volume 2 Issue 2: 09-16. Published: January 02, 2019; Volume 2 Issue 2: 03-08. Published: December 31, 2018; Volume 2 Issue 2: 01-02. Published: December 28, 2018; Volume 2 Issue 1: 45-52. Published: December 26, 2018; Volume 2 Issue 1: 41-44. Published: December 24, 2018; Volume 2 Issue 1: 38-40. Published: December 21, 2018; Volume 2 Issue 1: 36-37. Published: December 20, 2018; Volume 2 Issue 1: 28-35. Yosra M Hassan, Noha S Soliman, Nada N Nawar and Sara E Hadad. Published: December 18, 2018; Volume 2 Issue 1: 22-27. Mohammad Oves and Mohd Ahmar Rauf. Published: December 14, 2018; Volume 2 Issue 1: 20-21. Marianna Vaz Rodrigues, Maria Fernanda Falcone-Dias, Claire Juliana Francisco, Gianmarco S David, Reinaldo José da Silva and João Pessoa Araújo Júnior. Published: December 14, 2018; Volume 2 Issue 1: 13-19. Published: December 12, 2018; Volume 2 Issue 1: 10-12. Published: December 12, 2018; Volume 2 Issue 1: 08-09. Published: December 12, 2018; Volume 2 Issue 1: 06-07. Published: December 12, 2018; Volume 2 Issue 1: 02-05. Published: November 30, 2018; Volume 2 Issue 1: 01. Luca Vigano, Casu Cinzia, Andrea Oliveira and Pierluigi Guerrieri. Published: November 29, 2018; Volume 1 Issue 12: 44-50. UC Sharma and Vikas Sharma. Published: November 22, 2018; Volume 1 Issue 12: 29-35. Published: November 22, 2018; Volume 1 Issue 12: 25-28. Parul Thapar, RK Malik and MK Salooja. Published: November 13, 2018; Volume 1 Issue 12: 17-24. Published: November 12, 2018; Volume 1 Issue 12: 15-16. Mohamed Ayman and Alimam M Zuhdi. Published: November 06, 2018; Volume 1 Issue 12: 12-14. Antonio Fabio Reis Figueiredo, Giovani Brandao Mafra de Carvalho, Erik Galvao Paranhos Silva, Ana Paula Trovatti Uetanabaro, Vinicius Reis de Figueiredo and Joao Carlos Teixeira Dias. Published: November 06, 2018; Volume 1 Issue 12: 03-11. Published: October 30, 2018; Volume 1 Issue 11: 20-27. Published: October 26, 2018; Volume 1 Issue 11: 17-19. Mahendra Pal and Sonal K Patel. Published: October 23, 2018; Volume 1 Issue 11: 14-16. Published: October 23, 2018; Volume 1 Issue 11: 11-13. Published: October 23, 2018; Volume 1 Issue 11: 09-10. Ghaoui H, Bitam I, Saad-Djaballah A, Belacel I, Djenkal A and Achour N.
Published: October 23, 2018; Volume 1 Issue 11: 03-08. Published: October 01, 2018; Volume 1 Issue 11: 01-02. Pratima Gupta, Kuhu Chatterjee and Neelam Kaistha. Published: September 25, 2018; Volume 1 Issue 10: 29-36. Published: September 20, 2018; Volume 1 Issue 10: 25-28. Pérez-Etcheverry Diana, Pérez-Neira Sandra, Brugnini-Osimani Giannina, Rufo-D`adario Caterina and Lorenzo-Ferreiro Carmen. Published: September 20, 2018; Volume 1 Issue 10: 17-24. Regan Schwartz, Calum Macpherson and Satesh Bidaisee. Published: September 19, 2018; Volume 1 Issue 10: 13-16. Bisma Ayub, Henna Wani, Shabu Shoukat, Nida Handoo, Chirag Singh, Parveez Ahmad Para and Subha Ganguly. Published: September 14, 2018; Volume 1 Issue 10: 09-12. Published: September 14, 2018; Volume 1 Issue 10: 04-08. Is Cholera Still Posing Global Health Challenge? Mahendra Pal, Ankur Mudgal and Anil Mudgal. Published: September 01, 2018; Volume 1 Issue 10: 01-03. Published: August 31, 2018; Volume 1 Issue 9: 50-57. Prashant Mule, Niranjan Patil, Seema Gaikwad and Pranali Kumbhar. Published: August 24, 2018; Volume 1 Issue 9: 44-49. Published: August 24, 2018; Volume 1 Issue 9: 40-43. Luca Viganò, Casu Cinzia, Andrea Oliveira and Pierluigi Guerrieri. Published: August 22, 2018; Volume 1 Issue 9: 32-39. Could Postsurgical Nosocomial Cellulitis be Treated without the Use of Antibiotics? Published: August 14, 2018; Volume 1 Issue 9: 24-31. Vivek Shukla, Gyan Vikas Mishra and Mitesh Dwivedi. Published: August 10, 2018; Volume 1 Issue 9: 16-23. Bhawna Sharma and Dimple Kasana. Published: August 07, 2018; Volume 1 Issue 9: 13-15. Can Recurrent Furunculosis be Treated without the Use of Antibiotics? Published: August 02, 2018; Volume 1 Issue 9: 04-12. Published: August 01, 2018; Volume 1 Issue 9: 01-03. Mshelia BM, Adeshina GO and Onaolapo JA. Published: July 27, 2018; Volume 1 Issue 8: 69-76. Published: July 24, 2018; Volume 1 Issue 8: 68. Azounwu Obioma1*, Ihua Nnenna2 and Ibioku Elekima3. Published: July 23, 2018; Volume 1 Issue 8: 62-67. Imen Mahmoudi, Ameni Telmoudi and Mnasser Hassouna. Published: July 18, 2018; Volume 1 Issue 8: 56-61. Prashant Mule, Niranjan Patil and Seema Gaikwad. Published: July 17, 2018; Volume 1 Issue 8: 47-55. Bhaskaran Sathyapriya Krishnan Mahalakshmi, Kesavaram Padmavathy and Purushothaman Lakshmanan. Published: July 16, 2018; Volume 1 Issue 8: 44-46. Published: July 13, 2018; Volume 1 Issue 8: 40-43. Ritcha Saxena, Ritwik Saxena and Ananya Raj. Published: July 12, 2018; Volume 1 Issue 8: 34-39. Published: July 09, 2018; Volume 1 Issue 8: 32-33. Published: July 06, 2018; Volume 1 Issue 8: 29-31. Rajendran Rakesh, Ekhalak Ansari and Kathirvelu Baskar. Published: July 05, 2018; Volume 1 Issue 8: 23-28. Luca Vigano, Stefano Ferraro, Cinzia Casu and Matteo Fanuli. Published: July 03, 2018; Volume 1 Issue 8: 17-22. Angela Daza-Perez, Diana Martinez-Benavides and Paola A Caro-Hernandez. Published: July 03, 2018; Volume 1 Issue 8: 07-16. Ovia Kenneth, Beatrice Ugbo, Iroha Ifeanyichukwu and Chika Ejikeugwu. Published: July 02, 2018; Volume 1 Issue 8: 02-06. Published: July 01, 2018; Volume 1 Issue 8: 01. Shamima Nasrin Shadia, Md Rabiul Islam and Moazzem Hossain. Published: June 27, 2018; Volume 1 Issue 7: 68-71. Hassan A A, Arosoye A S and Oyebamiji D A. Published: June 25, 2018; Volume 1 Issue 7: 61-67. Published: June 21, 2018; Volume 1 Issue 7: 53-60. Yehia AG Mahmoud, Soad M Abu El Souod, Fatama Sombole and Mona Ade. Published: June 19, 2018; Volume 1 Issue 7: 39-49. Published: June 13, 2018; Volume 1 Issue 7: 36-38. Published: June 09, 2018; Volume 1 Issue 7: 35. Published: June 09, 2018; Volume 1 Issue 7: 32-34. Published: June 08, 2018; Volume 1 Issue 7: 27-31. Divocha VA and Basarab Ya A. Published: June 08, 2018; Volume 1 Issue 7: 21-26. Published: June 07, 2018; Volume 1 Issue 7: 17-20. Published: June 07, 2018; Volume 1 Issue 7: 11-16. Wemambu II, Ajose DJ and Eni CC. Published: June 05, 2018; Volume 1 Issue 7: 06-10. Aml O El haddad, Mustafa M Haider, Maraia F Elmhdwi and Suliman M Hussein. Published: June 04, 2018; Volume 1 Issue 7: 03-05. Published: June 01, 2018; Volume 1 Issue 7: 01-02. Published: May 30, 2018; Volume 1 Issue 6: 70-71. Published: May 30, 2018; Volume 1 Issue 6: 68-69. Published: May 29, 2018; Volume 1 Issue 6: 61-67. Saduf Nissar, Neelofar Majid, Aabid M Rather, Irshad A Nawchoo and GG Mohi-Ud-Din. Published: May 28, 2018; Volume 1 Issue 6: 56-60. Sbiti Mohammed, Rochdi Jawad, Lahmadi Khalid and Louzi Lhoussine. Published: May 28, 2018; Volume 1 Issue 6: 50-55. Pratik Trivedi, Jenabhai Chauhan and Kalpesh Ishnava. Published: May 24, 2018; Volume 1 Issue 6: 43-49. Adenike A Akinsemolu, Felix A Akinyosoye and Daniel J Arotupin DJ. Published: May 22, 2018; Volume 1 Issue 6: 31-42. Sylvester Chibueze Izah and Ebinyo R Aseibai. Published: May 21, 2018; Volume 1 Issue 6: 26-30. Published: May 17, 2018; Volume 1 Issue 6: 23-25. Moses Ocan, Benjamin Tumushabe, Hellen Nakawunde, Jemmico Droma, Geoffrey Waiswa, Kalori Kirya, Hannington Baluku and Wilson M Rwandembo. Published: May 11, 2018; Volume 1 Issue 6: 17-22. Modhusudon Shaha, Bithi Roy, Tanzina Akter, Md. Ekramul Karim and Md Mizanur Rahaman. Published: May 10, 2018; Volume 1 Issue 6: 13-16. Weiwei Su and Wei Wang. Published: May 08, 2018; Volume 1 Issue 6: 09-12. Published: May 07, 2018; Volume 1 Issue 6: 06-08. Nguyen Thi Trang, Pham Hong Ngan, Nguyen Van Hop and Takuya Hirai. Published: May 03, 2018; Volume 1 Issue 6: 02-05. Published: May 02, 2018; Volume 1 Issue 6: 01. Published: April 30, 2018 ; Volume 1 Issue 5: 80. Published: April 30, 2018 ; Volume 1 Issue 5: 78-79. Published: April 25, 2018 ; Volume 1 Issue 5: 75-77. Emma E Taylor, Eyad Kinkar, Kyana St Amant and Mazen Saleh. Published: April 25, 2018 ; Volume 1 Issue 5: 66-74. Ibrahim S, Danbirni S, Abubakar UB, Usman A and Abdulkadir IA. Published: April 24, 2018 ; Volume 1 Issue 5: 60-65. Published: April 24, 2018 ; Volume 1 Issue 5: 57-59. Published: April 20, 2018 ; Volume 1 Issue 5: 48-55. Published: April 19, 2018 ; Volume 1 Issue 5: 45-47. Naema M El Aali, Salah N Bugrein, Mohammed F El-Fellah, Yusra F Layas and Wejdan K Almesmari. Published: April 16, 2018 ; Volume 1 Issue 5: 30-44. Mahamoudou Sanou, Absetou Ky/Ba, Delwinde Albert Komi, Marius Nagalo, Fidele Bakiono, Cyrille Bisseye, Abdoul Salam Ouedraogo , Ramata Ouedraogo and Jacques Simpore. Published: April 14, 2018 ; Volume 1 Issue 5: 26-29. The Combination of Personalized Medicine and Evidence-Based Medicine: What Benefits for Patients? S Loudjedi, A Bereksi, B Fandi, FZ Boughezzal, S Boughrara, D Bouazza, B Selmi and M Kherbouche. Published: April 13, 2018 ; Volume 1 Issue 5: 23-25. Monica Chavez, Alfonsina Martinez and Paola A Caro-Hernandez. Published: April 12, 2018 ; Volume 1 Issue 5: 15-22. Published: April 09, 2018 ; Volume 1 Issue 5: 11-14. Paul Njenga Waithaka, Eliud Mugu Gathuru, Benson Muriuki Githaiga and Rachael Zawadi Kazungu. Published: April 03, 2018 ; Volume 1 Issue 5: 06-10. Published: April 02, 2018 ; Volume 1 Issue 5: 01-05. Published: March 27, 2018 ; Volume 1 Issue 4: 74-79. Published: March 26, 2018 ; Volume 1 Issue 4: 72-73. Abhishek Walia and Kritika Sharma. Published: March 23, 2018 ; Volume 1 Issue 4: 71. Sukayna M Fadlallah, Rima El Hajj, Jeanne El Hage, Zeina Nasser, Nada Ghosn, Walid Ammar and Ghassan M Matar. Published: March 22, 2018 ; Volume 1 Issue 4: 63-70. Derek Watson, Stanley Yap, Sophia Pandi, John Husband and Fanos Tekelas. Published: March 21, 2018 ; Volume 1 Issue 4: 54-62. Shyamapada Mandal and Debashis Halder. Published: March 21, 2018 ; Volume 1 Issue 4: 49-53. Ng'weina Francis Magitta and Meshack Denson Shimwela. Published: March 20, 2018 ; Volume 1 Issue 4: 44-48. Why do Patients Still Catch Hospital Infections Despite the Practice of Infection Prevention and Control Programs? Published: March 20, 2018 ; Volume 1 Issue 4: 34-43. Fernanda de Alexandre Sebastiao, Eliana Gertrudes de Macedo Lemos and Fabiana Pilarski. Published: March 14, 2018 ; Volume 1 Issue 4: 23-29. Abhishek Walia,Kamaljeet Sumal and Sudesh Kumari. Published: March 12, 2018 ; Volume 1 Issue 4: 14-22. Kruti K Patel, Firdosh Shah and Mitesh Dwivedi. Published: March 07, 2018 ; Volume 1 Issue 4: 06-13. Anargyros Skoulakis, Vasileios Lachanas, Zoe Florou, Maria Samara, Myrto Mantzana-Petinelli, Efthymia Petinaki and Charalampos Skoulakis. Published: March 03, 2018 ; Volume 1 Issue 4: 03-05. Published: March 01, 2018 ; Volume 1 Issue 4: 01-02. Abhishek Walia and Manreet Kaur. Published: February 27, 2018 ; Volume 1 Issue 3: 50. Oladunmoye Muftau K, Isijola Samuel O and Oladosu Tolulope O. Published: February 21, 2018 ; Volume 1 Issue 3: 42-49. Manisha Mandal, Biswajit Ghosh, Debashis Halder, Jayashree Konar, Nishith Kumar Pal and Shyamapada Mandal. Published: February 19, 2018 ; Volume 1 Issue 3: 38-41. Adebayo OC, Afolami OI, Oladunmoye MK and Bolaniran T.
Published: February 16, 2018 ; Volume 1 Issue 3: 33-37. Raul Isea and Karl E Lonngren. Published: February 13, 2018 ; Volume 1 Issue 3: 30-32. Weijia Xing, Yue Zhan, Lei Yang and Lei Yan. Published: February 09, 2018 ; Volume 1 Issue 3: 28-29. Monsicha Pongpom, Pritsana Sawatdeechaikul and Nongnuch Vanittanakom. Published: February 06, 2018 ; Volume 1 Issue 3: 14-21. Published: February 05, 2018 ; Volume 1 Issue 3: 13. JO Aribisala, MK Oladunmoye, OI Afolami and T Aina. Published: February 03, 2018 ; Volume 1 Issue 3: 08-12. Afolami OI, Aribisala JO, Oladunmoye MK, Wasiu OS and Arogundade IO. Published: February 01, 2018 ; Volume 1 Issue 3: 02-07. Published: February 01, 2018 ; Volume 1 Issue 3: 01. Dalia S Ashour, Ibrahim A Aboul Assad, Samy I El-Kowrany and Amira E Abdel Ghaffar. Published: January 30, 2018 ; Volume 1 Issue 2: 32-38. Ousman Bajinka*, Khalid A Abdelhalim and Guven Ozdemir . Published: January 23, 2018 ; Volume 1 Issue 2: 27-31. S Mastraftsi, S Sarrou, K Pantelidi, A Skoulakis, A Roussaki and E Petinaki. Published: January 19, 2018 ; Volume 1 Issue 2: 24-26. Munirah Y Jinadu, Endurance E Aghahowa, Oluwadamilola O Ogunsina And Adesola Z Musa. Published: January 17, 2018 ; Volume 1 Issue 2: 21-23. Imen Mahmoudi, Ameni Telmoudi and Mnasser Hassouna . Published: January 11, 2018 ; Volume 1 Issue 2: 17-20. Published: January 09, 2018 ; Volume 1 Issue 2: 15-16. Oladunmoye MK, Akinmaye AS and Oladosu TO. Published: January 09, 2018 ; Volume 1 Issue 2: 09-14. Olayemi Oluseun Ayepola, Samson Olugbenga Taiwo, Adedayo Anifowose and Olabode Onile-ere. Published: January 08, 2018 ; Volume 1 Issue 2: 06-08. Elton Carvalho Costa and Clarisse Maximo Arpini. Published: January 08, 2018 ; Volume 1 Issue 2: 02-05. Published: January 02, 2018 ; Volume 1 Issue 2: 01. Published: December 29, 2017; Volume 1 Issue 1: 29-30. Badiaa Essghaier, Sarra Oumaya and Najla Sadfi-Zouaoui . Published: December 22, 2017; Volume 1 Issue 1: 25-28. Otabor Florence Enogiomwan and Isaiah Nnanna Ibeh. Published: December 22, 2017; Volume 1 Issue 1: 21-24. Ibeh Nnanna Isaiah, Otabor Florence, Oyedeji Jelilat Taiwo, Emili Augustina and Omorodion Nosa Terry. Published: December 11, 2017; Volume 1 Issue 1: 18-20. Naema M El Aali, Salah N Bugrein, Mohammed F El-Fellah and Yusra F Layas. Published: December 06, 2017; Volume 1 Issue 1: 04-09. Published: December 05, 2017; Volume 1 Issue 1: 01-03.